Don't fight the tears, they will come - no, they will flood. They will stream down your face until you're a snotty, blubbering mess. But it will be so cathartic. 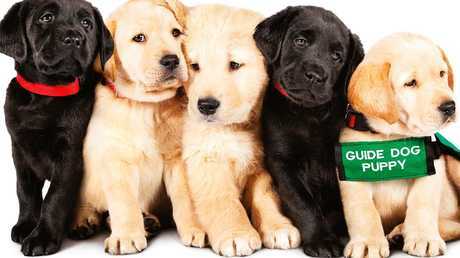 No movie this year will make you cry as much as Pick Of The Litter, an adorable and uplifting documentary about a pack of five puppies going through a program to see whether or not they become guide dogs for the visually impaired. Now, before you freak out, be assured that they're not distressing tears - no dog dies or is hurt. Dog deaths on film is a sensitive point - there are websites devoted to the question - and a couple of years ago Sony had to come out before the release of The Mountain Between Usto tell potential audiences that the yellow Labrador seen in the trailer of the plane crash survivor movie does not die. The tears you will freely give to Pick Of The Litter are happy tears - big, emotional heaves as that bond between humans and animals is reinforced time and again through five very good doggos. 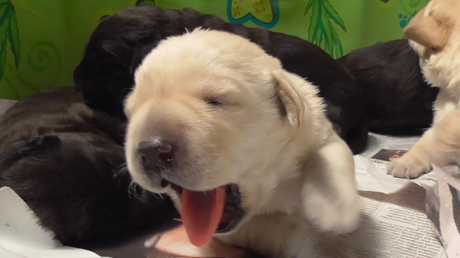 Filmed over two years in the US, the documentary follows Potomac, Primrose, Phil, Patriot and Poppet from the time they're minutes old, eyes closed and yawning, to the end of the 20-month program to see if they will cut the mustard as a guide dog, responsible for the life of a person in hazardous situations. Not every pupper born into the program will end up as a guide dog - the odds are about three in eight. They have to prove themselves as having the right temperament, smarts, ability to take commands and, most importantly, the ability to ignore a command if it's going to put their person in danger. 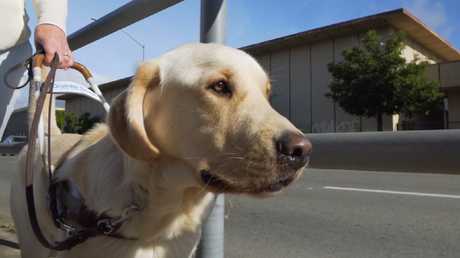 The dogs that don't make it could end up as a different kind of service dog, a pet or in the organisation's breeding program. It's a challenging and long tryout and it's a journey well worth following. Especially when that adventure comes with five sets of big brown eyes staring up, quizzically and with utter, unconditional love. Most of us would have little idea of the intricacies of what it takes for them to get there, and this film will hopefully inspire renewed appreciation for this important work. Pick Of The Litter also follows the people who are destined to be in these dogs' lives, including the folk who may end up with one of the furbabies, an animal that will give them more freedom in their day-to-day lives. There are also the trainers, and the foster families (the "puppy raisers") who take the dogs in for the first 14 or 16 months of the program - their challenges, successes and failures, and the heartbreak of having to say goodbye when it's time for the dogs to go back. A very good doggo indeed. 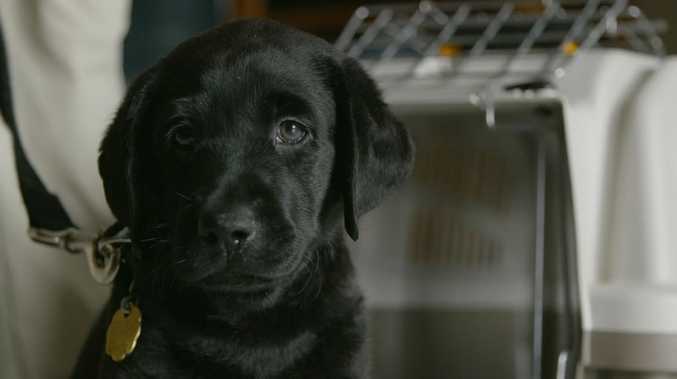 Directed by Dana Nachman and Don Hardy, Pick Of The Litter will delight and move even the most cynical and misanthropic among us, with a beautifully composed movie that won't fail to inspire and pluck those emotional heartstrings. It only takes about one minute and seven seconds into the 80-minute movie before you feel those tear ducts give way. Cat people will likely disagree, but more than any other animal, dogs are the most connected to our lives. They live with us, eat when we do, and devoted doggos shadow us everywhere we go. We spend infinitely more time with them than we do with our friends and extended family - maybe even your close family if you don't like them very much. Pick Of The Litter captures that extraordinary relationship so perfectly. Don't be surprised if, by the end, you find yourself searching for your state's Guide Dogs organisation and donating all your life savings. What better way to start a new year. This is exactly the movie we need right now. Pick Of The Litter is in cinemas now.